An unfocused, disappointing conclusion to Shyamalan’s surprise trilogy of postmodern superhero films. Glass was on my must-see movie list of 2019. I loved the first two films of what we’re now calling writer/director M. Night Shyamalan’s “Eastrail 177 Trilogy”, which began with 2000’s Unbreakable and the surprise ‘sequel’ with 2017’s Split. Unbreakable introduced us to a different take on the superhero genre, along with the characters of David Dunn (Bruce Willis), the reluctant hero, and Elijah Price, AKA Mr. Glass (Samuel L. Jackson), the mastermind villain. Split to a second villain, The Horde (James McAvoy), a character consisting of many personalities, one of which is The Beast, the physical opposite to Mr. Glass and extremely violent. With Shyamalan (Signs, The Sixth Sense) returning as both writer and director, Glass continues the story from these two films for a final confrontation between David Dunn, now The Overseer on social media, and Mr. Glass, freshly teamed up with The Horde. However, for much of the film this impressive cast is imprisoned deep inside a psychiatric hospital, forced to listen to the endless droning of a mysterious psychiatrist. Clearly, this wasn’t the endgame I was expecting. Glass has a great first act and re-introduces us to an older David Dunn and his son Joseph Dunn (Spencer Treat Clark also returns all grown up) as a father-son hero team. David does the superhero leg work of walking the streets, beating up bad guys and using his special sensory powers to find evil while Joseph uses his internet computer skills to provide information assistance via headset. The Horde has captured more innocent girls and David is on a mission to rescue them before the worst can happen. It’s not long before David finds the girls, leading to his first physical encounter with The Horde in a very raw and gritty fight sequence. This encounter ends with the hero and villain being captured and sent to a psychiatric hospital that also houses Elijah, who is being kept in a vegetative state via medication. At the hospital, all three become patients of Dr. Ellie Staple (Sarah Paulson), who specializes in treating people who think they are superhero characters. Her mission is to convince all three that they are normal people and that any powers they think they possess is all in their head. From here on in the story pace really slows and the tone of the film shifts from the promising setup. The first act was fluid, interesting and things were moving forward at a good pace – it was exciting! It was what we expected to see from a confrontation nearly 20 years in the making! Now it’s stagnant as the characters cannot do anything while imprisoned in the hospital. Even though Mr. Glass ends up revealing to be more than he seems, his contribution to the story while in the hospital isn’t enough to keep the experience engaging. I found myself getting fidgety and bored with the lengthy conversations and scene after scene of meh. All the excitement built up from the start of the film had faded and the realization this wasn’t going to be a worthy successor to either Unbreakable or Split slowly set in. Even bringing back Casey Cooke (Anya Taylor-Joy) – the survivor of Split – to try and help control The Horde or giving screen time to Joseph Dunn and Mr. Glass’ mother, Mrs. Price (Charlayne Woodard) as they try their best to help their family members in hospital, does nothing to improve the storytelling experience as there really isn’t anything they can do except sit back and do nothing. There’s so much drawn-out lengthy dialogue and monologuing with nothing actually happening that it quickly becomes very tiresome to watch. Then, finally after enduring this prolonged section in the hospital, do we get to the endgame where in true M. Night Shyamalan fashion…all is not as it seems. But it’s not all bad. What really makes Glass worth seeing is the outstanding performance of James McAvoy. Or maybe that should be performances. Serious acting chops are on display as we watch McAvoy convincingly transform into and seamlessly switch between the 23 distinct personalities that make up his complex character that fluctuates between different genders, ages and motivation. In an age with so many films being cast with models without any real acting skills it’s so refreshing to see somebody with so much talent on screen and being given a role that can really show the world what they are capable of. 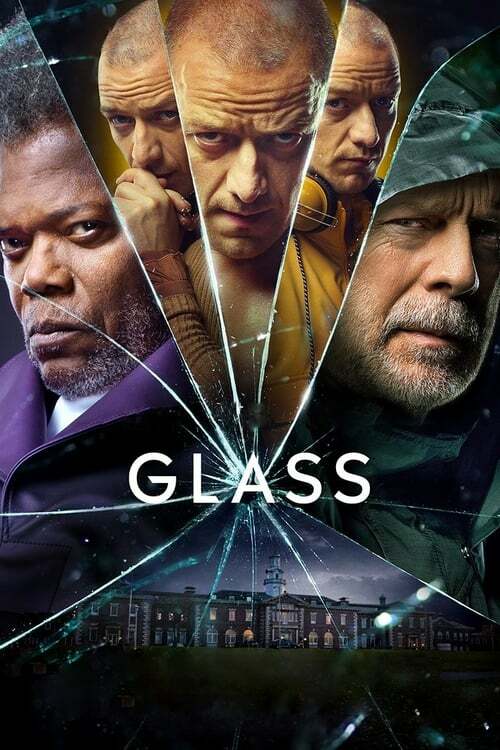 If there’s any downside to his performance(s) it’s that he actually steals the show from everyone else, which wouldn’t be an issue if the title of the film wasn’t Glass. Bruce Willis and Samuel L. Jackson also turn in good performances, however the story focuses so much on McAvoy’s Horde they never have time to play up their strengths or shine. Jackson spends much of the film staring blankly into the screen while Willis is mostly subdued when he isn’t involved in physical combat with The Beast. Sarah Paulson gives a very sterile and typical run of the mill performance of a cinematic shrink, which is a pity because so much dialogue is given to her that if she had brought something special it could have taken the edge of how boring her scenes are. I really wanted to like Glass as I’m a big fan of Willis, Jackson and McAvoy, and desperately wanted to see them together in a sequel worthy of their collective talents. Sadly, this wasn’t that movie, and for disappointing reasons. With so much of the film dominated by the overwhelming performance of James McAvoy, and so much screen time and dialogue dedicated to his character, this film should have been titled The Horde instead of Glass, as the multi-personality villain really steals the show from its brittle-boned mastermind namesake. Longtime fans who’ve been clamoring for a sequel to Unbreakable should probably see it anyway, however, if only to know how Shyamalan’s trilogy ends. If this is really the end. One never knows these days. Christian Stirling Popzara welcomes guest reviews, editorials, and other fascinating pieces of original content. Think you have what it takes to join the fun? Contact us and find out today!